The Sub Compact CS Series is easy to operate and powerful enough to meet your demands. 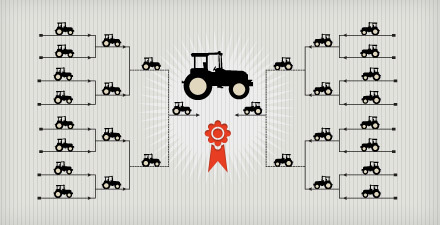 The CK10 Series is a line of distinctly designed compact tractors ranging from 25 to 40 hp. The CK10SE Series is a line of distinctly designed compact tractors ranging from 35 to 40 hp. 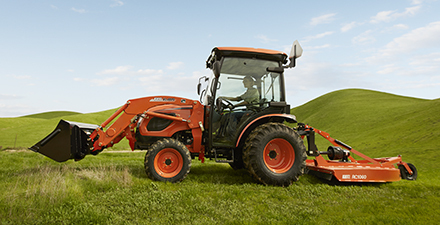 The DK10 Series is fully featured, comfortable and ready for any job that demands a durable compact tractor. 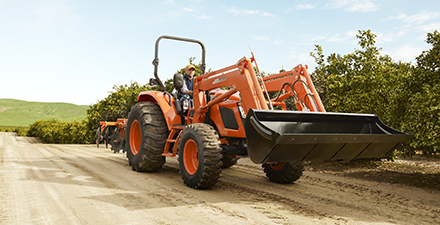 Ranging from 45 hp to 55 hp, this series of high-performance compact tractors pack impressive power and smooth handling into one dependable workhorse. 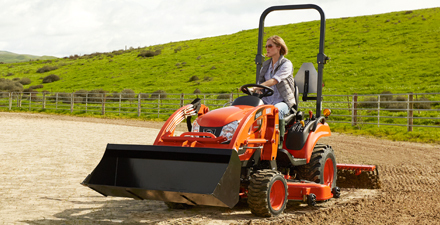 The DK10SE Series is a line of distinctly designed compact tractors ranging from 40 to 58 hp. 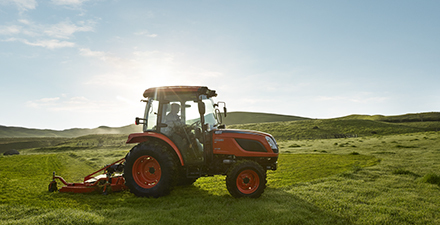 The all new KIOTI NX Series with Daedong® ECO Technology. 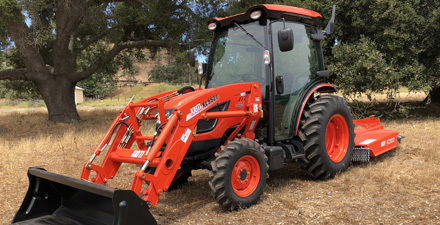 Models ranging from 45 hp to 60 hp, this series of high-performance eco-friendly utility tractors offers power and fuel efficiency in one dependable workhorse. 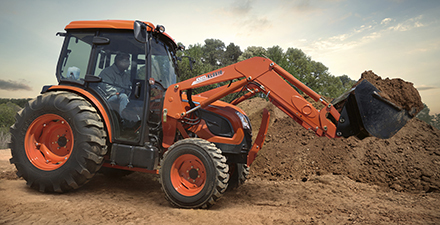 The RX Series features a luxury cab and all the power you need to take on the most demanding jobs. 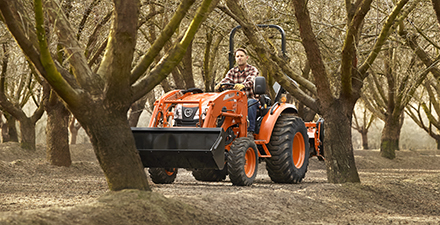 The PX Series is fully featured, comfortable and ready for any job that demands a durable tractor. 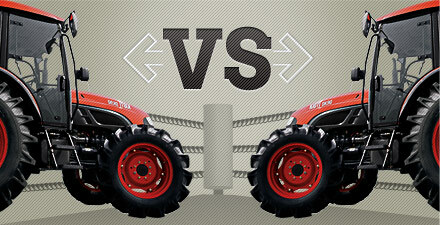 Use the compare tool to find the KIOTI tractor that meets your demands. 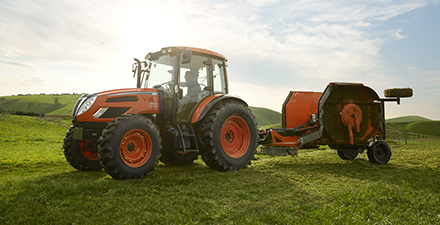 Search for KIOTI tractors based on your specific needs and operating experience with the Product Filter refined search tool. Looking for KIOTI gear? 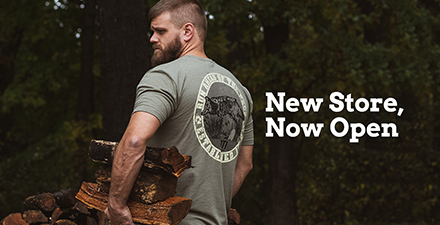 Visit the Official KIOTI Merchandise Store to get awesome deals on cool KIOTI shirts, hats, jackets, bags and more.